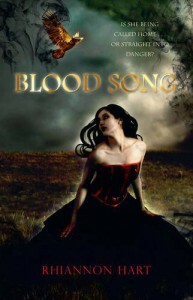 Blood Song is the type of book that leaves you wanting more - but not necessarily in a good way. Yes, I was definitely eager to get my hands on the sequel, but for some inexplicable reason, I found Blood Song to be lacking something. Perhaps I set the bar too high for this novel, simply because of the gushing reviews and the fact that the author was Australian. Either way, Blood Song, despite having an unique premises, failed to make me feel for the characters, romance, or adventure.Zeraphina is the second and youngest daughter of her dying kingdom. Ever since she was wrought with an illness at a young age, her eyes have paled to blue, her hair has darkened to black, and she has had an unexplainable thirst for blood. Furthermore, she has always felt a yearning to go north, so when her sister is offered a marriage proposal to the north, Zeraphina is eager to go. In the palace however, she meets the mysterious Rodden - the one man who seems to know more about her than she does. Unwilling to answer her questions, Zeraphina is forced to uncover the truth of who she really is on her own - for better or for worse.The idea for Blood Song was fascinating and it was my own curiosity of the Lharmells that kept me frantically flipping the pages. In some areas the dialogue was witty and characterization well developed, but for the most part, it felt as if Blood Song was targeted to a younger audience. The characters never felt as if they had enough depth to them, I didn't find myself feeling for Zeraphina during her struggles, and Hart seemed to devote more energy towards palace balls opposed to rebel murder missions. Furthermore, the action-filled scenes set in Lharmell never felt heart-pounding or dangerous even though they were. I think that is one of this novels biggest faults - the fact that the author simply couldn't draw me into the rich world she had created. I was acutely aware of the fact that I was reading and that there were less than hundred pages left to go - a feeling I can assure does not happen very often as I am loathe to count down till the end of a book.That being said, I still liked Blood Song. The idea was unique, the setting original, and it had the potential to be an amazing book. 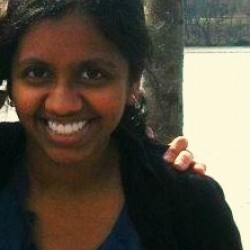 Zeraphina was an interesting character and I admired her strength and strong-will throughout the story. Raddon too was an intriguing character, proving to be an enigma on his own. I am definitely eager to learn more of his past in the sequel and see where his personality came from.The relationship between Zeraphina and Raddon, although having plenty of witty banter that I enjoyed, turned very suddenly from enemies to he's-just-like-me-yay to I-think-I-like-you to let's-pretend-we-didn't-just-kiss-because-we're-in-danger to now-we're-really-close-friends. Essentially, it didn't flow or transition, instead simply changing from one thing to another. In fact, I still remain confused as to whether Zeraphina was only attracted to him because he was like her or because she genuinely liked him (and vice versa regarding his attraction to her). The romance wasn't a particularly large aspect of the novel which I appreciate, but the confusion of feelings that Zaraphina felt towards Raddon came out of the blue (at least until the reached Lharmell...then they solely became focused on the situation at hand and their friendship). So, although their relationship felt very Darcy/Elizabeth in some ways, it fell flat. I like them both as individual characters and it is hinted at that they may have some type of a connection together, but I'm hoping that their relationship is more developed in the sequel. It was by no means bad in Blood Song - just not as well transitioned as I would have liked.Nevertheless, despite my qualms about this book, it was a quick read that kept me curious enough to finish it in one sitting. Furthermore, the ideas were original and I am definitely eager to get my hands on the sequel. I didn't outright love Blood Song, but I think the series has immense potential for improvement which I hopefully believe will occur. I'd definitely recommend giving Blood Song a try. Many reviewers thoroughly enjoyed it and, at any rate, you'll be introduced to an engaging new idea and refreshing plot. Although Blood Song was definitely an interesting novel, for me it simply didn't deliver.